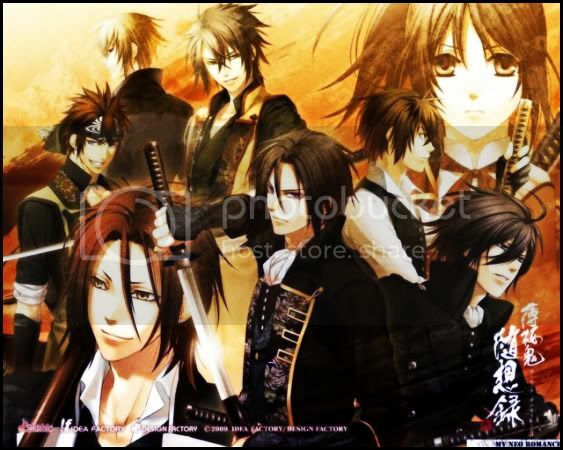 Just finished watching the 1st episode of the second season of Hakuouki (Hakuouki Hekketsuroku, download here). As soon as the opening song started I teared up, I think maybe it's because I know the story of Shinsengumi and how it turns out in the end. It's kind of a strange anime since story-wise it's not like, super amazing (more-like Mary Sue-ish since it's adapted from an Otome game where the main female character is the one the player can RP as...so it's one of those animes where no one really cares about the main character anyway and watches it for all the eye candy), but just the whole Shinsengumi theme draws me in. Every time I watch things about the Shinsengumi, be it in anime or Takarazuka or the NHK Taiga drama I always feel so sad at the way it ended and at the same time I feel that they were really admirable for sticking to their beliefs. Someone once said to me it'd be great if those men lived in a different era and then they wouldn't have to have been faced with such a dismal fate, but I think in a different era they wouldn't be who they were. The Chinese say that 乱世出英雄 meaning "Heroes rise in times of chaos" and it's those heroic traits we admire, but if it was in peaceful times those traits wouldn't be given the chance to surface. 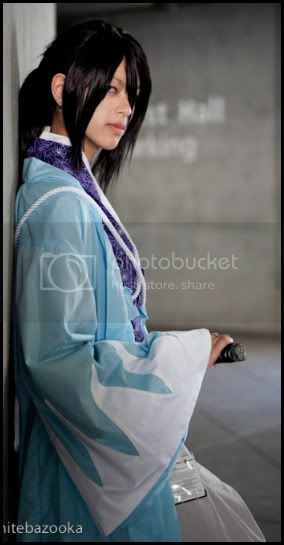 This one is Hijikata Toshizou in his traditional uniform. 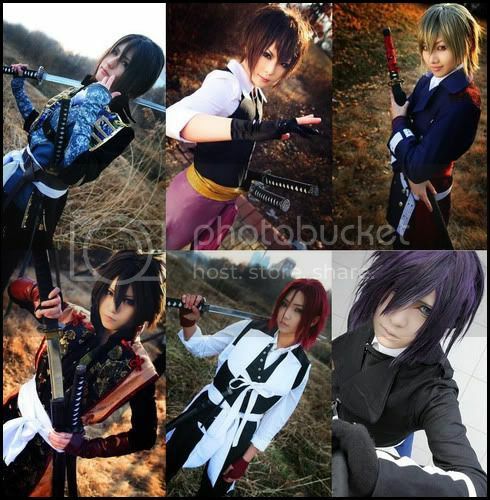 This one's a collage of some of the main Shinsengumi captains plus Kazama, an original character from Hakuouki all in their "Western" uniforms. I`m not sure where you get the idea that the main fans are 'emo'. If you're going off of the two cosplay pictures I posted the fans look like the characters because that's what cosplay is, to dress up like the characters and the best cosplayer look like the character not only in costume. Could be just me and my flawed impressions.